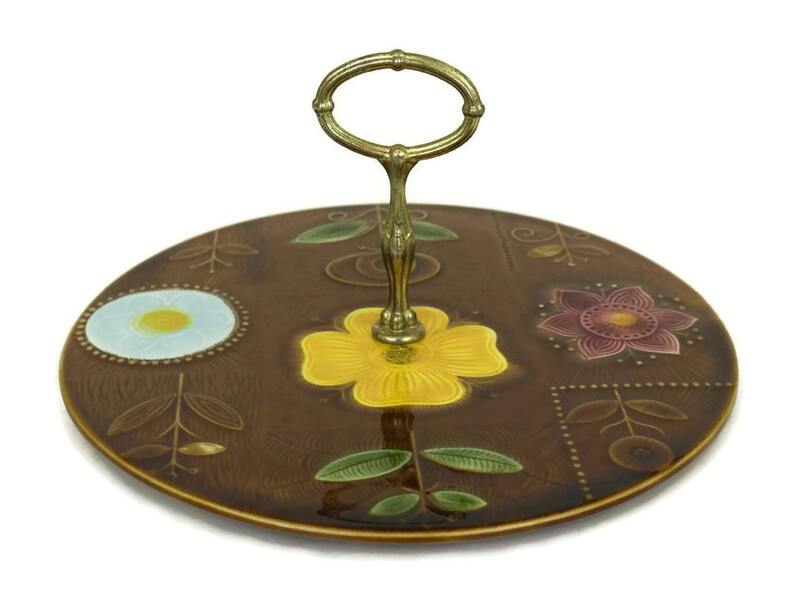 A charming French vintage cake stand manufactured by the famous Sarreguemines pottery company in the 1970's. 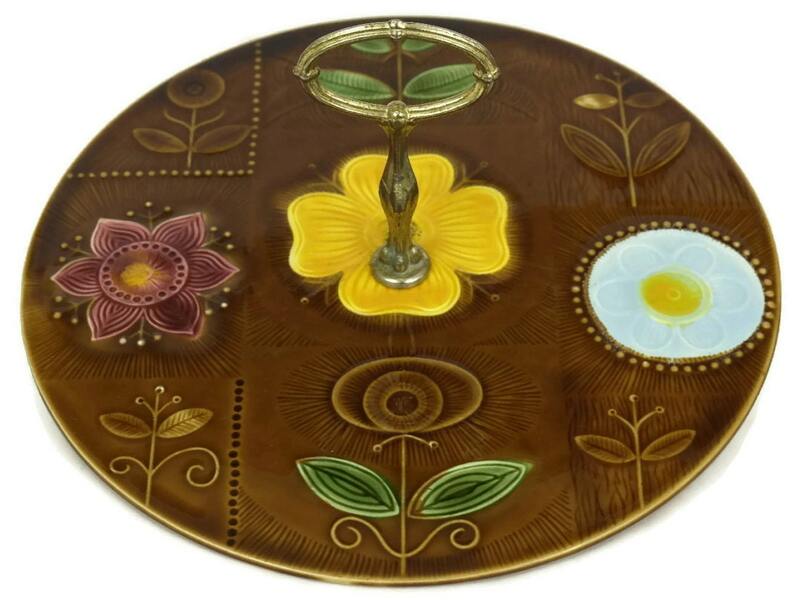 The cheese pottery platter has been decorated with large flowers in bold colors against a rich brown background. 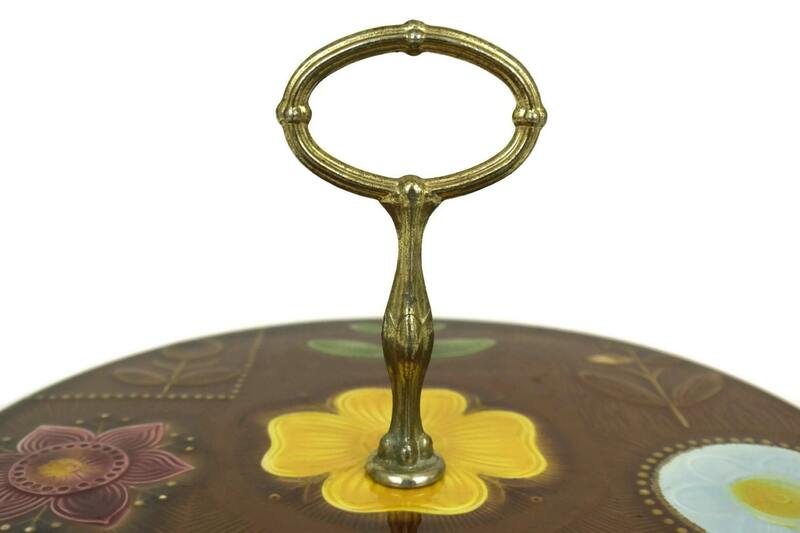 The plate has a decorative metal handle that can be removed for washing. The underside of the ceramic plate has been stamped with the manufacturer's mark. It would make a great addition to a retro decor. 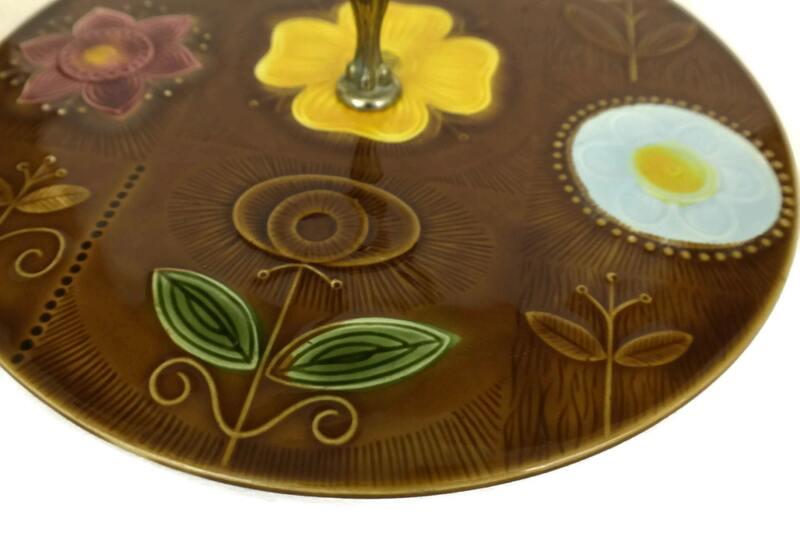 The Sarreguemines serving cheese plate is 12" Wide x 5" Tall (30 cm x 13 cm). 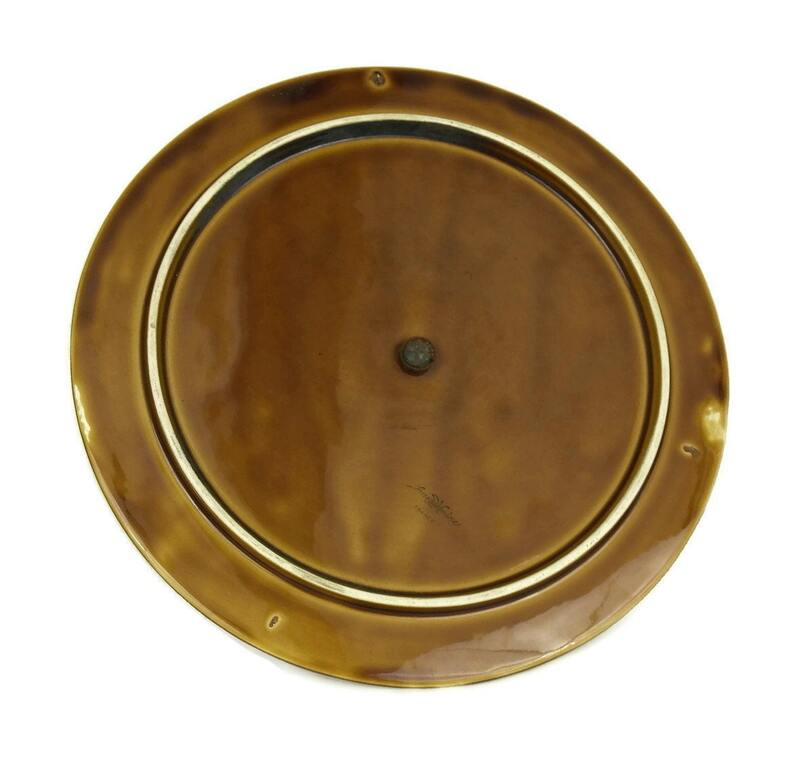 The French platter is in good condition with light signs of wear including light surface marks and crazing to the glaze.